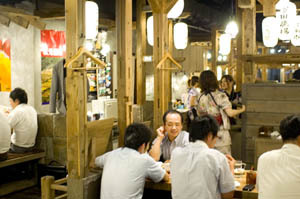 At first glance it looks like just another cheap and cheerful budget izakaya - unpretentious rustic decor, bouncy J-Pop background music, enthusiastic young staff and boisterous after-work drinkers. But then you notice that, unlike most izakaya, the walls here are decorated with giant photos of farms, farmers, and free-range chickens going about their business. A quick look at the menu confirms that they do indeed take their food seriously here at Tsukada Farm - focusing heavily on top-grade Miyazaki chicken as well as many other regional delicacies from southern Kyushu. 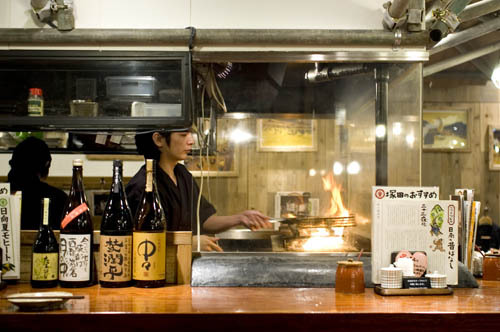 Charcoal-grilled Miyazaki chicken is probably the most famous local dish from the area. While it's very tasty, the rather muscular bird also has a reputation for tough meat, and so we were pleasantly surprised by the grilled chicken here. It's still noticeably chewier than your typical battery hen, but many of the bits were relatively tender, and every piece was suffused with a well-seasoned smoky flavor that was nicely balanced by a spicy yuzu-kosho served on the side. There are around a dozen more Miyazaki-chicken dishes to choose from, including grilled and fried wings, chicken sausages, wontons, fried gizzards and hearts, and chicken sashimi with grated garlic. All the poultry is sourced directly from Miyazaki-area farmers rather than going through the traditional agricultural distribution system, allowing both higher pay for farmers and lower prices for customers. Another standout dish is the very tasty charcoal-grilled pork belly, made with SPF (specific-pathogen-free) pork. Because the pigs are raised under extremely hygienic conditions, there's no need for regular doses of antibiotics to keep them healthy. The Kyushu-style side dishes at Tsukada make a nice change of pace from the usual izakaya fare. Our otoshi was a big dish of raw cabbage and cucumber served with a lovely, chunky moromi-miso spread. 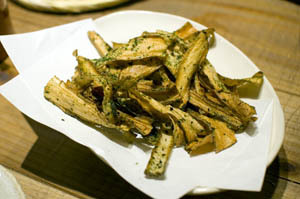 The gobo chips are excellent, sliced very thinly and fried up very crisply with simple salt and pepper seasoning. 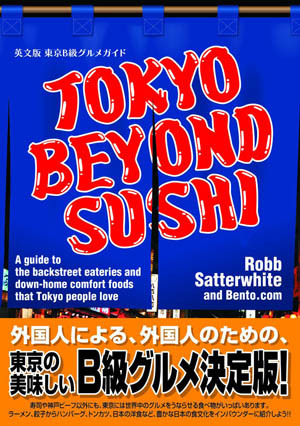 There's also raw horsemeat and tiny grilled kibinago (silver-stripe herring), sweet-potato fries and avocado sashimi. Most dishes are simply prepared, to better bring out the natural flavors of the fresh ingredients. Shochu fans can peruse a dedicated shochu menu, featuring an impressive selection from small Kyushu distilleries. If you're not in a shochu mood there's excellent sake from Dassai, plus umeshu, yuzushu, mangoshu (!) and other fruit liqueurs, and of course beer. Budget around Y3500-4000 for dinner and drinks; prix-fixe banquet menus and open-bar party plans are also available. English menus are provided upon request. On weekend nights (Friday and Saturday) the restaurant stays open until 2am. There are also around twenty more branches scattered throughout central Tokyo.